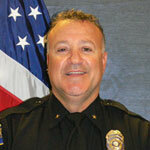 Josef Levy was employed by the City of Long Beach and was a Commander with the Long Beach Police Department. During his 28-year career, he worked assignments in patrol, gangs, internal affairs, hostage negotiations, media relations and commanded a patrol division before his retirement in 2012. Josef spent the majority of his career building partnerships and improving police-community relations by dismantling stereotypes and barriers in some of the toughest neighborhoods. He has been credited with helping to change the culture of the Long Beach Police Department by making it a more inclusive police force. Commander Levy is now President of his firm, Embassy Consulting Services, LLC and continues to utilize his skills, experience and passion to educate others on the importance of building and maintaining safe, respectful and inclusive communities. Josef has been recognized with various prestigious awards and has been recognized at the Congressional level.